I feel like Eeyore, with the tiny rain cloud following me around. It’s not that I have a negative outlook on life (I like to think I’m a pretty positive person), but I can’t shake these sad life “happenings” that seem like they’re going to persist…at least for the foreseeable future. Let me back up. Guess where I am!!! Hint – I’m not at home or work. I’m not even in the state of Arizona. I’m back in Texas. Flew in (on a $700 last-minute flight, no less) for a funeral. My maternal grandmother unexpectedly passed away. I should say “unexpected” in quotations because although we weren’t anticipating it, she has been in a nursing home for 4 years, is 84 years old and in only mediocre health, so these things don’t come entirely by surprise. Her death comes right on the heels of Rocky’s death and the sting is real. Guess what else – Chris’ grandfather was just placed on hospice. So he may be making a last minute trip back to Texas for a funeral soon, too. For a number of reasons, we decided we would each go back solo to attend our respective grandparents’ funeral. In addition to the funeral trips, we’re also planning a trip back up to Utah. For newer readers, my Dad used to live in Utah and still owns property there. When he was diagnosed with his incurable disease, we moved him to an assisted living facility in Texas closer to family. But his Draper home sits unoccupied. The goal is to go up, completely empty the thing out, and get it placed with a property management company that can take over its management and care. Originally we were going to sell the home, but when we actually looked at numbers we realized he didn’t have as much equity as we’d thought. After accounting for closing costs, etc., the house would probably just about break even or net a tiny amount of profits. I’ll outright say that I really wanted to get rid of this property simply for my own sanity – I don’t want to keep dealing with it!!! But I was outvoted amongst the siblings and I respect the group decision to keep it and hope to build up some equity as we get some renters in there paying all the bills and upkeep (plus extra for profits). It feels like a scary risk to me (what if the roof needs repair? the foundation cracks? some other huge $$$ disaster occurs?) but, again, not my decision. So that’s what’s up on the old summer 2016 docket: three deaths, two funerals, and a trip to Utah. Oh, and my brother is going through a horrific divorce, the likes of which I’ve only ever seen before in movies (I mean, it’s D.R.A.M.A.). So there’s that. I don’t know why this little rain cloud won’t leave our family alone, but I’m totally over it. I’m really trying to refocus my priorities on work and family and to keep a positive outlook on life, making the best of even bad situations. On that note, I’m excited to see a couple cousins who will be flying into town today (my grandma’s funeral is tomorrow). We’re going to have a swim and pancake party tonight at my brother’s house and I can’t wait! Wish my kiddos were here (they’d love it! ), but given all the circumstances I don’t regret the decision to fly back to Texas solo. I’m happy to spend time surrounded by extended family, love, support, and fun stories of our sweet Nana. I can’t just end this post without getting to the meat of the matter. Which is to say that I’ve taken another $700 from our emergency fund in order to cover the costs of this unexpected last-minute trip. I owe you lots of posts soon (May budget update; May debt update) to fully update you on our whole money situation. The Cliff’s Notes version is that our May debt updates were small, we had NO savings in May, and we ended up having to raid our EF to help cover the end-of-life expenses for our beloved dog. BUT (looking at the positive) – NO NEW DEBT and I was still able to make a little dent in our current debts, too. I have to call that a win with all things considered! Let’s not dwell on the negatives. Tell me something POSITIVE about your summer: some fun plans, exciting activities, new debt milestones or debt payoffs, etc. etc. I’ll tell one of mine: We took our girls up to Sabino Canyon last weekend and had SO MUCH FUN! We rode a little tram thing, hiked around, and “swam” (waded) in some bodies of water that result from the snow melting up on the mountain. Being the desert, we don’t have a lot of water in Tucson so it was a real treat to get to play in a natural body of water (not a swimming pool), and it was the girls’ first ever “hike” (a very light hike). I love making these types of memories with the kiddos! First and foremost, I am amazed at your (still) positive attitude and resilience. Rain cloud is an understatement. Food for thought, take the tragic, emotional part away for a minute, and imagine how well you could not have weathered these “financial” matters even one or two years ago. Progress in the face adversity is clear. I forgot to mention something happy. My student loan debt in the next 6 weeks should drop below $100K (down from $180K) and we will pay off all our consumer debt in the next 3 months also (technically, I have the EF to pay it off now, but I don’t want to empty it). Finally, I am a contract (as in contractor) attorney and have just been offered a new long-term assignment that will increase my pay by 30%. Yeah! 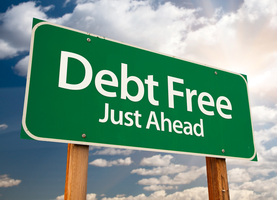 YAAAAAAY for being consumer debt-free very soon! That was a HUGE deal to me (and a big milestone no matter who your are!) Congrats! Ashley, I’m so sorry for everything that you have going on. They say bad things come in 3s, so hopefully, you’re done for awhile. Your positivity through all this is inspiring, and I appreciate that you let a bunch of strangers into some of the most personal and difficult moments of your life. To share something positive, I just got married 2 weeks ago in your neck of the woods. I’m in the DMV area, and we chose a destination wedding in Sedona. We also spent some time in Phoenix. Sedona was amazing, and I can’t wait to see the rest of our pictures/video. Many congrats!! I bet Sedona was a beautiful backdrop for your wedding celebration! When it rains it pours. I’m so sorry for your losses. And I’m sorry for what your brother is going through! I’m going on vacation in a week! No big trip, but I’m looking forward to relaxing. My fiancé and I will be spending the week at his family’s “camp” on a lake in NH. The camp is an old uninsulated house that was built in the 30’s or 40’s. I’m looking forward to sleeping in, napping in the hammock, swimming, and reading. That sounds BEAUTIFUL! I’ve always been an outdoorsy person, so I love simple camping type vacations! I follow you regularly, and can I just say that I am so proud of what you accomplished ? You are able to weather these adversities without going into debt. This is fabulous! My heart also goes out to you on the loss of your Nana. It is so hard to lose your grandmother at any age. I hope that you and your cousins can comfort each other as you celebrate her life. Thank you, Jen! And thanks for reading! I recently returned to this blog after not reading for a couple years. We have *extremely* similar stories, and when I realized it, I went back and read Every. Single. Post. that you’ve made. I was just like reading my own story, and I was really excited about it. In fact, my partner looked at me like I was crazy when she saw how excited I was telling her about how someone else was also soooo financially unaware while getting their masters/Ph.D. too! Now I’m a regular reader/lurker while also doing everything I can to get debt free. I decided to finally chime in today, because you might not realize, especially in these difficult times, that you are such an inspiration to others – at least me anyway! Knowing someone else is out there in the same boat as me is very helpful to me. Hang in there, it will get better! Thanks for the kind words and thanks for reading! Also, WAHOO for getting rid of a couple of your Navient loans! I’m SOOOO ready to rid them from my life! Understatement of the century! Hey, you are keeping your head above water. That is success. Hubby is working a lot of OT, so our vacation to Boston and Gettysburg will be cash. That’s fantastic! Have an incredible time and enjoy every moment! I’m sorry to hear about all of your losses! You should be proud of how far you’ve come in your financial journey that you are able to stay afloat during these emergencies. Kind of a bummer on getting out voted to keep your fathers home, but on the positive side Utah housing prices are really stable. Also as a Utah resident, if the home is old, I would recommend the city insurance plan for sewage pipes detailed in the tribune story below. It is only a few bucks a month but totally saved us when we found our line was leaking! Wow! Thank you for this link – I’ve never lived in Utah so I definitely don’t know the ins and outs of the city/state stuff. I really appreciate the tip!